Here to pull you out of whatever slump you've fallen into today are the world's first twin pups! 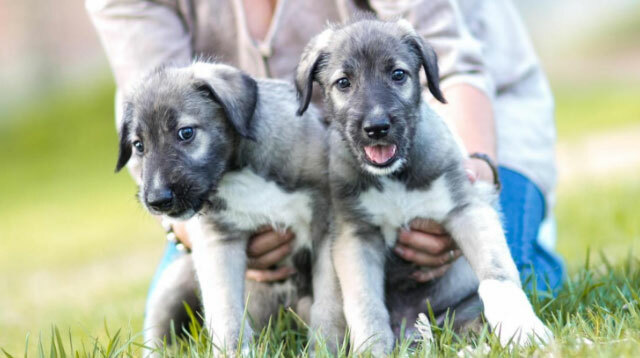 Or should we say, first documented case of twin pups! Meet Cullen and Romulus. Veterinarian Kurt De Cramer performed a C-section on the puppies' mom and noticed that the dogs shared a placenta. Typically, animals that share a single placenta don't last very long outside the womb: "It is even less likely for placenta-sharing puppies to survive, because of several complications relating to nutrient and oxygen supply from a single placenta having to do the job that is normally done by two placentas." But thankfully, the cuties seem to be happy and healthy! This is an extremely rare case though. Apart from humans and armadillos, dogs are the only other species able to give birth to identical offspring. Seriously though, how adorable are these babies? !